In 2013 Benedikt graduated from Ulm University in Germany with a Dipl.-Chem. (~ equal to a Master of Science). Following he joined the “Joint Mass Spectrometry Center” lead by Prof. Dr. Ralf Zimmermann in Munich Germany, and Rostock, Germany. At the Helmholtz Zentrum Munich he worked as research associate in the Comprehensive Molecular Analytics group. In December 2016 he received his PhD in Chemistry at the University of Rostock. After his doctorate Benedikt worked as postdoctoral scholar within the Dorman Laboratory at the Eberly College of Science located within the Pennsylvania State University, United States. 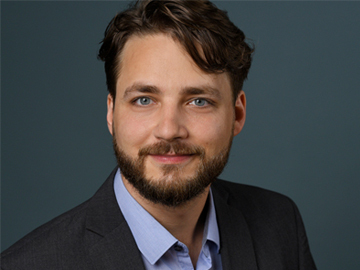 Benedikt joined OBiAChem in November 2018. Benedikt’s scientific activities are focused around cutting edge separation technologies, such as multidimensional gas chromatography coupled to mass spectrometry. His main interest is thereby applying those techniques to separation problems in complex sample matrices aiming for the establishments of cause/effect relationships between pollutants and biological response in human or biological systems. Benedikt has experience in GC and LC separations, mass spectrometry, sample preparation, chemometrics, data reduction and data mining.